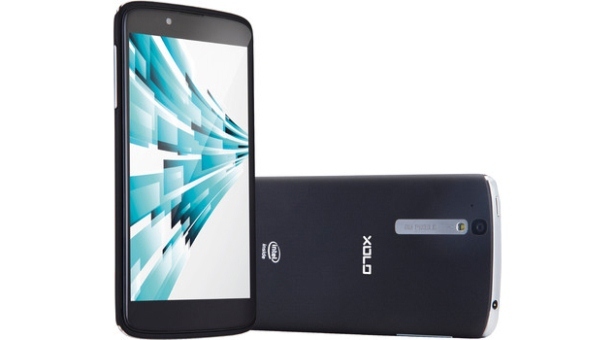 With its efficiency guaranteed by the 2 GHz Intel Atom processor, the Xolo X1000 was launched in March 2013. If you own this smartphone and would like to improve its performance, today’s article is going to present you with a safe method to do so. No matter if you forgot the PIN code, you’re planning to sell the device or you’re dealing with software problems, the best you could do is to hard reset the Xolo X1000. You probably are familiar with the procedure that will restore the phone to factory settings and remove all of the user data. However, to make sure you’re entirely aware of the effects it will have on the Xolo, we’d like to remind you that everything from contacts to documents, media files, as well as apps that you saved will not be available at the end of the factory reset. So you can avoid losing anything, you should make a backup that you can access at a later time. The X1000 runs on Ice Cream Sandwich, but it can be upgraded to operate Android v4.1, also popular under the name of Jelly Bean. Supported by 1 GB of RAM, the device comes with GPRS, Wi-Fi, Bluetooth and a 3G network for connectivity. Also equipped with a 8 MP camera in the front and a 1.3 MP one in the back, it can take amazing pictures, while it’s also able to record full HD videos. The Li-Ion 1900 mAh battery allows for up to 336 hours stand-by and maximum 10 hours talk time. Stepping back to one of the point we discussed before, you shouldn’t get started without making a backup of the data you want to save. This is a very easy step – you can transfer the files onto a PC by connecting the phone to it with the USB cable. Alternatively, you can store everything on a cloud or use the Phone Copy app for the same purpose. With the phone turned off, press and hold the Camera button at the same time with the Volume Up and the Power keys. Once the phone boots in Droid boot mode, release the Camera key and keep holding the other two. Wait for the Android screen to appear and press the Camera button to see the Recovery Menu. Use the Volume Down key to choose Wipe Data or Factory Data Reset and select it with the same Camera key. Do the same on the next screen to select Yes from the options and wait for the reboot to begin. Make sure you don’t interrupt the process at any time and keep the phone nearby so you don’t miss any of the instructions that might appear on the screen. When the device will be ready, it will restart by itself and inform you that you can now use it as before. The data you previously saved can now be transferred back onto the X1000. bhanchod ni pata to gnd kyu mara raha h randi ke mujhe se puch liyo kaise hota h i will tech u….